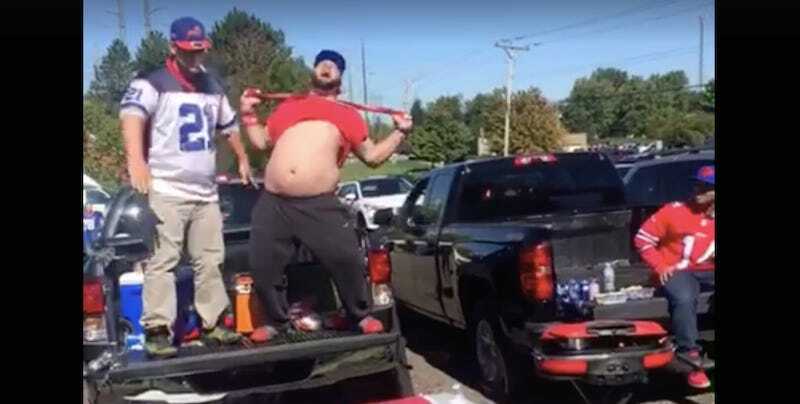 Two Buffalo Bills fans hopped up onto the bed of a pickup truck for yet another table-smashing, but this instance had nuance. You might notice that the table is draped with an Arizona Cardinals flag. This represents the team’s opponent on Sunday. Take note of the man ripping off his shirt and screaming. This is a natural response to his environment. Also, observe that the man in the Willis McGahee jersey has a cigarette in his mouth. The table is broken. The shirt is ripped. The cigarette is still in the man’s mouth. The Cardinals flag goes in the back of the man’s pants for a second, before he throws it on the ground. 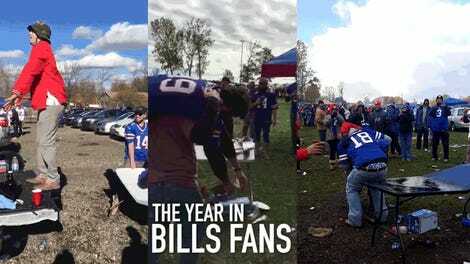 The Bills beat the Cardinals, 33-18, and it was all because of this video.